NEW: Learn Hip Hop Dance Online! Brand New Hip Hop Dance Lesson Series for Beginning hip hop dance with over 60 lessons online. Complete the beginner course and advance to more B-boy and B-girl style dance moves with breakdowns for all levels including freezes, top rocks, power moves and basic moves even if you are a beginner. 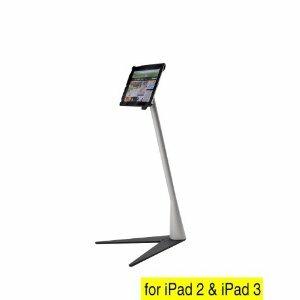 Mount your Ipad 2 or 3 to a tablet stand for hands-free dance lessons. Visit FitforaFeast fan page to see some of your montage videos - thanks!!! Welcome to the DanceSection of FitForAFeast.com! 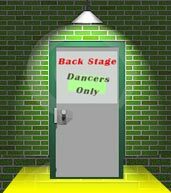 Check out all the different dance styles from hip hop to ballet videos here, have a great time! Kids Dance starts with recreational dance lessons for hip hop or street style, jazz dance, ballet, acro dance, lyrical, modern dance, tap dance and other dance styles. For dancers who want to compete and invest more time learning all of the dance styles, there are competitive dance programs where you travel and compete at different dance competitions. There are also high level workshops and dance traning programs where skills can be taken to the next level - you can take online dance lessons with us in the new Hip Hop Crusher online dance course too! Some even go on to try out for So You Think You Can Dance! Why is dance so great for kids? Dance is great fun, great exercise, great friendships and building a foundation for the future. It helps everything from memory and discipline to advanced learning skills and helping us feel better. See the full length interview with Caroline Torti of So You Think You Can Dance Canada on Sunday Chat with Sloane and Kat. This is the full-length interview as Caroline shares her insights on dancing, behind the scenes details and her experience on So You Think You Can Dance Canada. She is amazing and we were lucky to be able to chat with her. See some of our Dance Performances and dance recitals or get some online dance tips and dance lessons in our Dance Lesson section. Our Video Index page lists many of our own videos. Checkout our dance bags for dancers. © 2016 Fit for a Feast- a fun place for dance, fitness and kids activities. Join Katrina and Sloane for some great cooking recipes, dance tips and fun activities for kids.